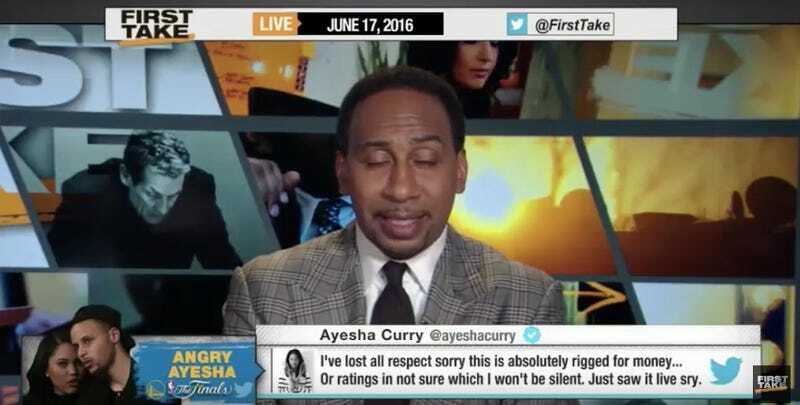 Stephen A. Smith has weighed in on Ayesha Curry’s thoughts on the NBA being rigged. The First Take goon called her classless and said she shouldn’t bring attention to herself. For his part, Smith should maybe take his own advice and consider the ways in which what you do is a reflection on the organization you work for, and all the ways in which it can be virtuous to not bring attention to yourself.